SALEM — Under a proposal from state health officials, most public water systems — from small housing developments to bigger cities serving thousands of residents — may have to pay higher monitoring fees to the state. State health officials are asking for a $1.8 million bump in fees in the state's next two-year budget to cover costs of monitoring public water systems, an area they say has long been underfunded at a risk to public health and public trust in the safety of drinking water. "Smaller drinking water systems in Oregon are vulnerable," agency officials wrote in their budget request, which was submitted for review by the governor's office and the Legislature. They say that lack of staff and money is "jeopardizing the program's ability to fully meet its mission." 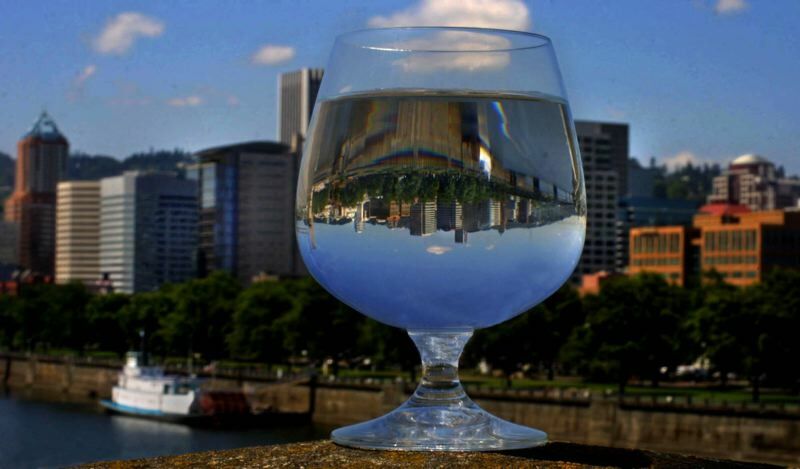 The request follows renewed public interest in the safety of Oregon's drinking water. During the summer, toxic algae at Detroit Lake prevented vulnerable groups, including people with liver conditions, pregnant women and young children, from safely drinking Salem city water. The state regulates the roughly 900 public water systems that fall between small, private systems with fewer than 10 customers and larger systems subject to more stringent federal Safe Drinking Water Act standards. The state wants to improve monitoring of systems ranging from the Aching Acres Mobile Home Park in Oregon City, serving six people, to the Big Woods Water District in Roseburg, which serves 20. Together those small systems serve about 15,500 Oregonians, according to state data. Those state-regulated systems aren't inspected, but they do have to test water samples regularly. About a fifth of those systems aren't doing that, though, said Jonathan Modie, Oregon Health Authority spokesman. 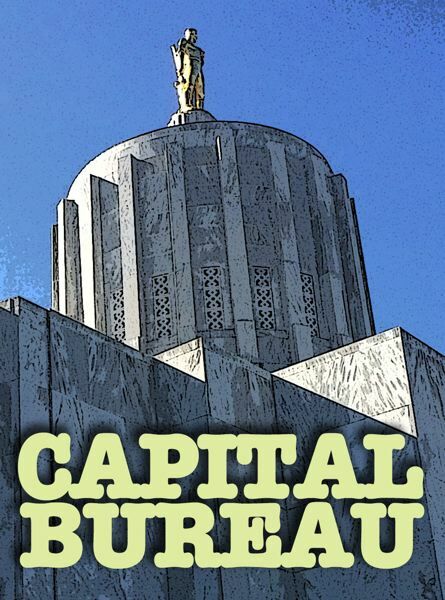 "The problem with state-regulated systems is that we don't have staff to adequately enforce the regulations when a system stops submitting required monitoring data," Modie wrote in an email to the Oregon Capital Bureau. "We also lack the staff to provide technical assistance to systems that need help." State-regulated systems are required to monitor quarterly for coliform bacteria, nitrate annually, and arsenic at least once. The state receives more than 180,000 lab analyses from water systems every year, and most of those are entered manually into a state database. That information is compared to safe standards and if a contamination is detected, an email alert is sent to state or county officials to investigate the contamination. The state also monitors systems subject to federal Safe Drinking Water Act standards, and inspects those every three or five years; those systems would also face fee increases under the health authority's proposal. The agency wants to charge an annual fee based on the number of connections the water system has, regardless of whether it is subject to regular inspections. Money from the increased fees would pay for five jobs at the state drinking water program. Local public health authorities doing surveys and responding to contamination alerts would see a 25 percent more state money. Even before the Salem water crisis unfolded in May, the state's health agency has been saying that the drinking water services program doesn't have enough money. Agency data shows that federal money to supervise public water systems has stagnated since 2014, hovering at about $1.6 million annually. David Emme, the health authority's Drinking Water Services program manager, said in a January 2018 newsletter that the program "has been on a bit of a roller coaster over the last decade." The program lost a third of its staff since 2009 due to a lack of money, Emme wrote. "The strain on our staff, managers and county partners is noticeable and we can't continue this erosion," Emme wrote. "While we all recognize the need to prioritize and adapt to limited resources, we also need a sustainable base program." Bruce Sargent, owner of the Buckhorn Springs Resort in the Cascade-Siskiyou National Monument in southern Oregon, said he doesn't have an issue with what he says is a monthly cost of about $35 to test the water in the resort's system. In the months that the resort is open and operating, he sends samples to a testing company, which forwards the samples to the state, Sargent said. Buckhorn's system, which serves 11 people, is regulated by the state but isn't inspected, according to state data. Sargent doesn't want to pay an additional fee for water monitoring. Under the proposal, systems like his would have to hand over $75 to the state every year. "I don't think they do very much for us, so if there was a fee, it wouldn't be a good thing from my point of view," Sargent said. The state agency said that the money would step up enforcement of the systems that aren't testing water for health hazards. The agency has already received some additional money for drinking water issues in the current budget. Last month, the Legislature's Emergency Board approved an extra $160,450 for personnel costs in the Drinking Water Services program. "Colleagues, the issue of contaminants in drinking water in Salem was huge," said state Sen. Jackie Winters, R-Salem, during the emergency board meeting. "I'm sure you've read a lot about it and this will help the agency in order to work on some of those issues."